"Sarah was the perfect realtor for us. She is very knowledgeable about Reno, specifically the about the neighborhoods we were interest in (Old Southwest area). She always kept us updated and was very quick to respond to all of our questions. Her responsiveness, honesty, and joyful demeanor made our home finding and buying process very enjoyable! We would highly recommend Sarah:)" -Olivia O. "Sarah was great to work with. She was available to use at all times and had every answer to our many questions. It was truly unbelievable that she sold our house in 33 hours. I would not hesitate to use Sarah in the selling process in the future. She was also very accommodating in the buying experience too. She took us around to many homes in the area we wanted to live in. She stayed with us through the entire process of us buying our new home and we are completely satisfied with everything she did for us. 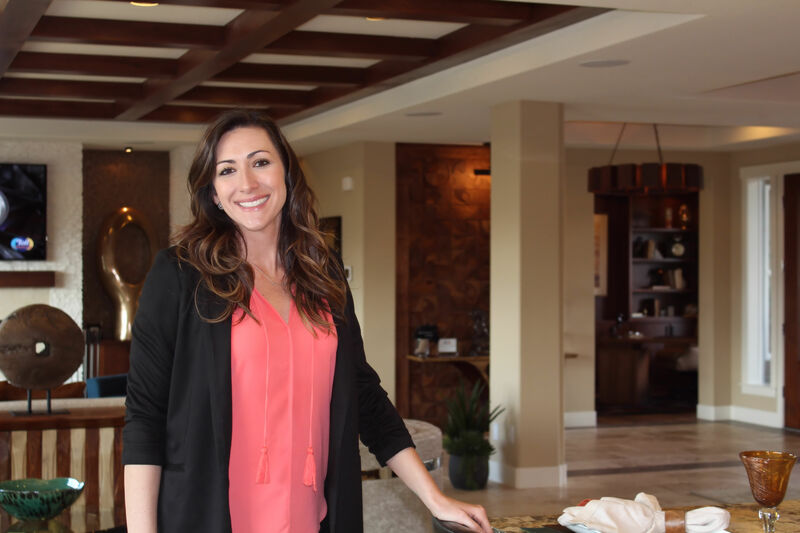 She also has a great mentor at her side with years of experience of buying and selling homes all throughout the Reno area. We don't need to look elsewhere if we should decide to sell or buy in the future. Thanks for a wonderful experience." -Brian & Leah N.
"Sarah was truly incredible throughout my husband and I's first-time home buying experience. She made herself available all hours of the day, as if she was only working for us. Sarah immediately informed us on the current value of the home, what the resale value of our home would look like in the future, and comps around the area BEFORE we even stepped inside and made our offer. She made what's typically a scary and nervous experience a confident and comfortable one, ultimately resulting in our DREAM home. I would HIGHLY recommend her to anyone as she has the knowledge, the experience working under one of the top realtors in town, David Hughes, and will give you her undivided attention and care!" -Jordan S.
"Relocating here from the Midwest was, and is challenging. Sarah has a sweet nature, yet she was always professional. Sarah showed us many homes in the Reno area. We looked for over a 4 month period, and lost a home due to, the seller having a foreclosure in there past which prevented them from selling. It was an unusual situation with unusual legal issues. She did a marvelous job of explaining the problems and different paths we could potentially take. She showed us many different price ranges of homes, and was instrumental in helping us narrow down our wants and needs in our price range. If Sarah didn't know the answer to our many questions she consulted her fellow staff members and always responded quickly with answers. She was on top of our difficult closing and was the pipeline of information to make sure it moved forward. A consummate professional with a wonderful personality and able to use whatever technology at hand to communicate at whatever time needed. We would highly recommend her for any and all Reno area real estate needs." Beth and Edward J.